Is your body begging you for a rest? Whether you’ve been exercising for years or you’ve just decided to up the workout ante, following a rigorous training regime can have harmful effects on your body. In fact, resting is just as essential as the energy that you devote to workouts. Sure, the professionals will tell you that leading an active lifestyle is an integral part of being healthy, and they’re certainly right but it’s important to listen to your body and take care of the aches and pains to avoid the niggles becoming real injuries. Those who neglect adequate resting periods and torture their muscles on a daily basis might find themselves facing severe consequences down the line. Also known as jogger’s headaches, high intensity exercise can cause serious headaches. If you start experiencing them, consider taking a few days’ break and drink plenty of water. A change in appetite can also be a sign that you’re exercising too much. As we expose our bodies to too much pressure, our temperatures rise and the higher your temperature is, the lower your appetite will be. Monitor your food intake and be sure that you are consuming all the nutrients your body needs. When you don’t allow enough time in between workouts for your muscles to rest and recover, they will stop performing the way you want them to. This often means that even the slightest bit of exercise feels backbreaking. Perhaps, it’s time to consider that you’re not a machine as unrealistic levels of exercise may cause your muscles and tissues to deteriorate. 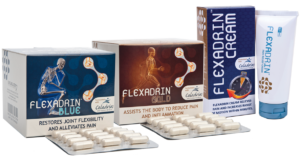 Rest up and give yourself some temporary relief from any minor muscular and joint aches and pains with Flexadrin.